Watch the best of the action from an eventful afternoon at Vicarage Road. Relive all the crucial incidents in our 90-second highlights package. View our images from Vicarage Road. Manager says fortune favoured the Hornets after late sting at Vicarage Road. Watch the manager's reaction after Watford. Saints held despite midfielder's first-half brace. Get the pre-match thoughts of opposition manager, Marco Silva. All you need to know ahead of Southampton's trip to Vicarage Road. Can you reach the end of our latest challenge? Watch as Mauricio Pellegrino gives his thoughts ahead of Watford. Saints boss previews the trip to Vicarage Road. The boss speaks with the written media. Behind the scenes at Staplewood before Saturday's clash with the Hornets. Saints boss Mauricio Pellegrino looks ahead to Saturday's Premier League match. The key stats ahead of Saints' trip to Vicarage Road. We get the lowdown on Saints' next opponents. Tickets for the trip to Watford are now on sale to eligible Season Ticket holders. James Ward-Prowse's double gave Saints the lead against Watford. Saints' attacking duo Dušan Tadić and Shane Long proved real threats all afternoon. Andre Gray pulls one back for the hosts from close range. Doucoure's late and controversial leveller earns a point for the hosts. Young winger Josh Sims comes on as we search for a last-gasp winner. Troy Deeney heads the ball down to Abdoulaye Doucouré and he bundles in with what looks like his hand as Alex McCarthy came out to meet him. Dušan Tadić gets a yellow card now for grabbing the ball from Daryl Janmaat. Edging closer to full-time here. Alex McCarthy is carded for taking too long over a goal-kick. Oriol Romeu stops Stefano Okaka breaking in the middle of the pitch and picks up a yellow card. Goalscorer Andre Gray makes way for Stefano Okaka. Ryan Bertrand gets down the left after a lovely flick by Dušan Tadić, picks out Pierre-Emile Højbjerg with a lofted ball in but his header loops over. Andre Gray's low cross is turned behind superbly by Wesley Hoedt with Troy Deeney waiting behind him, before the corner comes in and Molla Wague causes a problem but can't get a meaningful contact with his head. Mauricio Pellegrino makes a tactical switch to try and bring the momentum back in Saints favour after being under heavy pressure since the start of the second period. 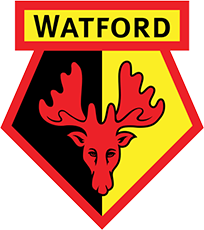 The pressure has been building and after Janmaat hits the bar, it loops up and Andre Gray is quickest to react to head in his first goal for Watford at Vicarage Road. Watford trying to find a way back into this one and after André Carrillo sets the ball back on the edge of the box, Roberto Pereyra hits an effort wide. Troy Deeney heads the ball on and Andre Gray has an opportunity in the box, but Wesley Hoedt does well to wrestle with him and make a vital challenge. Daryl Janmaat swings in a cross from the right, both Andre Gray and Richarlison go for it and the latter gets his head to it but can't direct it goalwards. A superb burst of pace down the left from Shane Long sees him find Dušan Tadić in the box, who coolly rolls the ball into Ward-Prowse and he sweeps home for his second. The first change of the game is from the host as Tom Cleverley is replaced with an injury. Dušan Tadić gets to the byline on the left and his low cross finds Shane Long at the far post, who controls on the stretch but Zeegelaar makes a vital block from his goalbound shot. Pierre-Emile Højbjerg goes into the book for a challenge on Tom Cleverley from behind near the touchline. Dušan Tadić goes down the right and picks out a superb cross to the back post for the dangerous Shane Long and he climbs high to power a header at goal and force Gomes into a smart save. James Ward-Prowse nets his first Premier League goal of the season. Wonderful work from Shane Long sees him reach the byline before a clever cut back and Ward-Prowse sweeps it home past Gomes. After a spell of Watford pressure, Daryl Janmaat takes in Ben Watson's pass on the edge of the box and the Dutch international tests Alex McCarthy with a stinging drive. Important fingertips on it! After Christian Kabasele had done well to block Shane Long's effort, the ball eventually falls out to Cédric on the edge of the box and he hits his shot well over. We're under way at Vicarage Road! Hear from James Ward-Prowse as he gives his final thoughts before today's meeting with Watford at Vicarage Road. The Southampton squad are put through their final preparations ahead of today's clash with Watford in the Premier League. Watch as the Southampton squad made their way into Vicarage Road for today's Premier League meeting with Watford. Starting XI: Gomes, Janmaat, Wagué, Kabasele, Zeegelaar, Watson, Doucouré, Cleverley, Richarlison, Carrillo, Gray. Subs: Karnezis, Prödl, Mariappa, Holebas, Okaka, Deeney, Pereyra. Starting XI: McCarthy, Cédric, Stephens, Hoedt, Bertrand, Romeu, Højbjerg, Davis (c), Tadić, Ward-Prowse, Long. Subs: Forster, Pied, Bednarek, Lemina, Boufal, Sims, Gabbiadini. Saints have arrived at Vicarage Road! We'll bring you the team news right here at 2pm GMT. Back in red and white today! Get the thoughts of Watford boss Marco Silva ahead of this afternoon's clash with Saints here. it's a massive game. everybody is conscious about how we are and what we need to do to change the situation. Take a look back at the goals as Southampton won an enthralling encounter away at Watford last season in March 2017. Watch footage from Staplewood Campus, as the Southampton squad prepared for today's meeting with Watford in the Premier League.